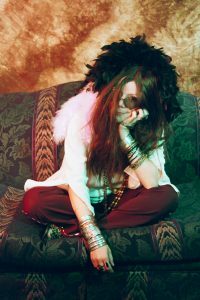 Capturing Janis Joplin both vocally and visually right down to the between song banter, Krista captivates her audience for a solid 90 minutes with her remarkable portrayal of the legendary 60’s icon. Piece of My Heart is known for sold out shows, standing ovations and it’s top-notch musicians from the Greater Toronto area. Travelling as far as San Francisco for corporate functions, her band has been the highlight of multiple summer of love, Woodstock, and 60’s themed events. Krista’s ability to emulate Janis has also led to awards and nominations in both Florida and Las Vegas honouring the industries best celebrity impressionists.